This year’s theme, “Providing PIVotal Care” invites nurses everywhere to commemorate their commitment to their work and to their patients. It’s a day of celebration! As the official IV Nurse Day proclamation reads, “recognition is long overdue for the nurses who practice IV therapy. In 2019, Palmeira Home Health honors Lindsey Clinkscale, RN, on National IV Nurse Day. Lindsey attended College of Southern Nevada for her Registered Nurse (RN) degree and, in December 2017, she was awarded their Clinical Excellence Award. She is currently attending Nevada State College working towards her Bachelor of Science in Nursing (BSN) degree. She is also certified in Advanced Cardiac Life Support (ACLS) as well as Basic Life Support (BLS). 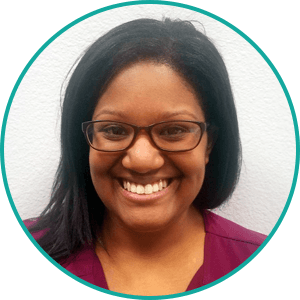 In addition to Palmeira Home Health, her experience includes Registered Critical Care Nurse at Sunrise Hospital and Registered Nurse at Smoke Ranch Surgery Center, both in Las Vegas. In her free time, Lindsey enjoys traveling, hiking, shopping, and reading. The role of the IV nurse is immensely important in modern healthcare, especially since an estimated nine out of ten present day hospital inpatients are requiring IV (intravenous) access due to the treatments that have been prescribed to them. Furthermore, because of the robust push for health care reform and cost containment in the United States, an increasing number of infusion services are now being performed in outpatient settings such as clinics, freestanding infusion centers, and patients’ private homes. Also known as an intravenous therapy nurse, infusion nurse or vascular access nurse, an IV nurse is one who administers prescribed medications and fluids via the IV delivery route. Infusion nurses also establish certain IV lines, access ports and central catheters, and maintain them in accordance with predetermined standards of care. In addition, they are often charged with the responsibility of observing and monitoring patients who are the recipients of infusions for side effects, adverse reactions, IV site complications, and the overall response to IV therapy. National IV Nurse Day was first brought into existence in late 1980 when the U.S. House of Representatives set aside every January 25 as IV Nurse Day to recognize the importance and achievements of this unique group of nursing professionals. With a tremendous amount of pleasure and gratitude, the staff behind the scenes at Palmeira Home Health wishes all of the infusion nurses out there a very happy National IV Nurse Day 2019. The work you do on a daily basis is of great significance to the medical community and society as a whole, and we thank you from the bottoms of our hearts. Again, thank you for all that you do for your patients and their families!